Kimberly L. Towe is a Missoula attorney with over twenty years of legal experience. Kim began her career as a law clerk for the Honorable Karla M. Gray at the Montana Supreme Court. Since her clerkship, Kim has specialized in litigation. Kim handles all types of plaintiff's personal injury cases and insurance claims. 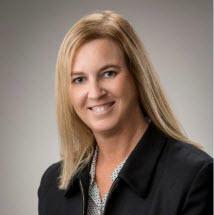 Kim has experience handling products liability litigation as well as extensive appellate experience. Kim is licensed to practice in all of Montana's state and federal courts and is a member of the Montana state bar. In her free time, Kim enjoys spending time with her family, cheering on her kids during their sporting activities, hiking and relaxing at the lake.